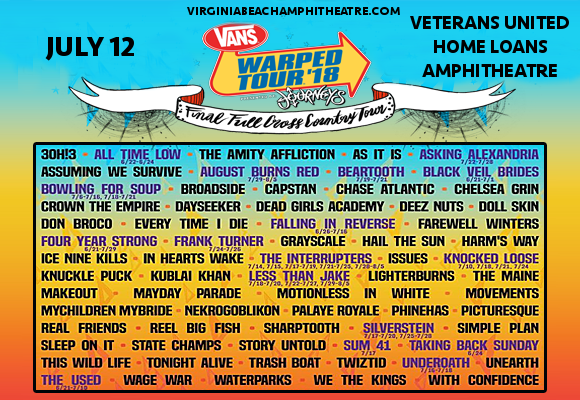 Listen up Vans Warped Tour fans – this is your last chance to see this iconic tour live! That’s right, after 2018 it’s officially goodbye to the Vans Warped Tour – so be sure to catch this year’s phenomenal lineup on Thursday 12th July 2018 at the Veterans United Home Loans Amphitheater!! Tickets are available NOW! !